It's been a little quiet on the Nexus front recently, with Google continuing to have problems keeping the Nexus 6 in stock and no major product announcements over the last few months. Despite the lack of activity, it would appear the Nexus project is still alive and well. 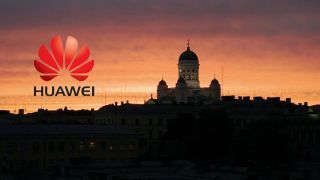 We heard insider whispers a few days ago that Huawei had been chosen as the manufacturer for the next Nexus smartphone, following in the footsteps of HTC, Samsung, LG and Motorola. Now those rumours have picked up steam again courtesy of iSuppli director Kevin Yang. Yang apparently blabbed about the news of a Google-Huawei tie-up on his Weibo account (the Chinese equivalent of Twitter). It seems to have disappeared now, but not before everyone took notice. iSuppli itself is a reputable analytics firm, but don't take this as official confirmation until we hear something from Google. It makes sense for a US company wanting to expand into China and a Chinese company wanting more presence Stateside to get together in 2015. Plus, Huawei makes its own mobile chips, which will add to the appeal for Google. With the Nexus 6 appearing in October 2014, though, we've still got a long wait before there's a new handset on the market. Other industry tipsters have suggested the Nexus 7 tablet refresh is on schedule for the summer. Perhaps the biggest question is what Google is going to call its next flagship phone: Nexus 7 is obviously taken, and the higher numbers have tablet connotations. Maybe it's time to ditch the numbers and switch to a different naming strategy altogether.